Being a high-flying name in this arena, we promise to deliver the best in line quality products. In addition to this, we make sure that the offered lot is prepared using the finest grade material. With the assistance of skilled professionals and high-grade packaging system, we can easily furnish customized packaging requirements of the customers. 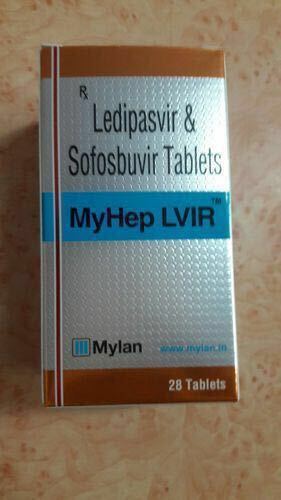 MyHep LVIR tablets are used for the treatment of chronic hepatitis C.